Come celebrate an iconic local Texas event, The 29th Texas Black Invitational Rodeo. Join in to be a part of a great annual tradition! The event kicks off Saturday, June 17, at the State Fair Coliseum at 7:00 p.m. There are fun filled activities for the whole family, featuring the pony express relay race, steer wrestling, wild bull riding and more. 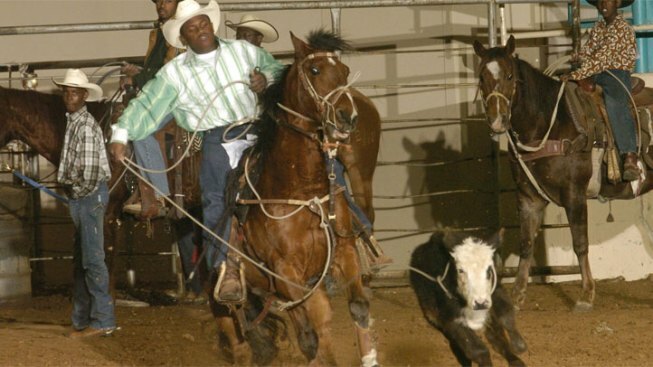 Additionally to being the premier event of the Juneteenth weekend, The Texas Black Invitational Rodeo includes the top cowboys and cowgirls all competing for cash prizes up to $25,000. This one of a kind experience is a must see as it conserves the Texas heritage of the African American community and allows for spectators to gain awareness of the influence of African American history in our present day. All proceeds from the event will benefit the African American Museum. To purchase tickets, visit the African American Museum located at 3536 Grand Ave. in Fair Park, or online at www.aamdallas.ticketleap.com. For additional information, visit www.aamdallas.org.